LEGOLAND Discovery Center is opening a location this Friday, September 28, at Easton Town Center. Cbus Chic: What is LEGOLAND® Discovery Center Columbus? Jenna Maffei, Marketing Manager at LEGOLAND Discovery Center Columbus: LEGOLAND® Discovery Center Columbus is a 36,000-square-foot attraction and a two to three-hour immersive experience ideal for families with children aged 3-10. The indoor attraction will feature two interactive rides, a 4D Cinema, 10 LEGO® play zones, MINILAND Ohio, party rooms and more! Cbus Chic: What’s the inspiration behind it? Maffei: LEGOLAND Discovery Centers are designed for families with young children (ages 3-10) to have fun, learn and play together. Cbus Chic: Why did LEGO decide to open a Discovery Center in Columbus? Maffei: Columbus is a great city – and a great travel destination for families! LEGOLAND Discovery Center Columbus will be the first LEGOLAND Discovery Center in Ohio. In fact, an area of the attraction called MINILAND Ohio will feature iconic landmarks and buildings from the three major cities, Columbus, Cleveland and Cincinnati, made entirely out of LEGO bricks! Cbus Chic: What makes LEGOLAND® Discovery Center Columbus unique? Maffei: LEGOLAND Discovery Center Columbus is the Ultimate Indoor LEGO Playground! 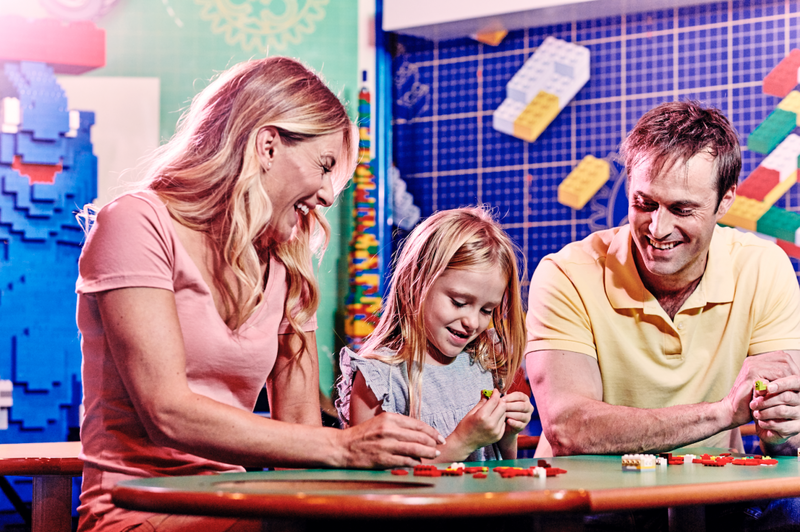 Families will enjoy a world of creativity, color and building fun at LEGOLAND Discovery Center Columbus! LEGOLAND Discovery Center Columbus will be the 11th LEGOLAND Discovery Center in North America and 22nd worldwide. Cbus Chic: When is the LEGOLAND Discovery Center set to open? Maffei: LEGOLAND Discovery Center is excited to host their grand opening ceremony on Friday, September 28 at 10 a.m. at Easton Town Center. LEGOLAND Discovery Center Columbus will open exclusively for their annual passholders on September 21. First to Play Annual Passes are still available for a limited time! Single-Day Admission Passes, Annual Passes and Birthday Party Packages are on sale now at Columbus.LEGOLANDDiscoveryCenter.com. Book your tickets in advance to guarantee entry! Cbus Chic: Where is LEGOLAND Discovery Center Columbus located? Maffei: LEGOLAND Discovery Center Columbus is located at Easton Town Center. 165 Easton Town Center, Columbus, OH 43219 (in the Easton Station building). Cbus Chic: Where can readers go to learn more and follow along? Maffei: Readers can find more information and purchase tickets at Columbus.LEGOLANDDiscoveryCenter.com – and follow along on Facebook, Twitter and Instagram.